Matt Willatt Design Ltd are an independent creative studio, providing graphic design, editorial and production to brands and specialist agencies. 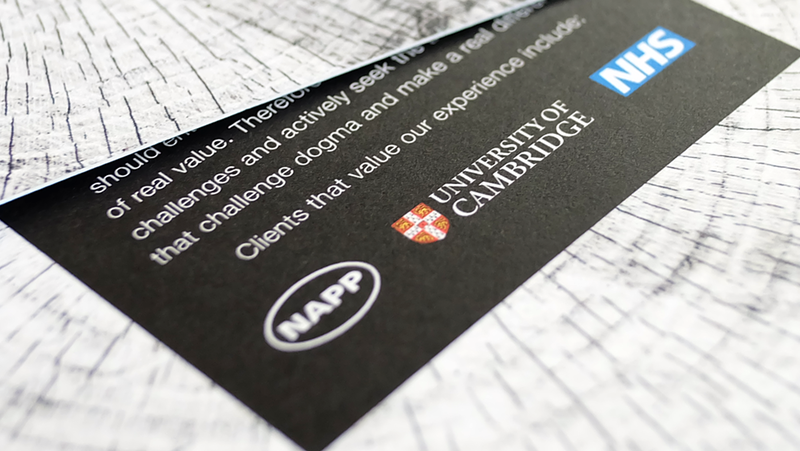 Using our approach of creative problem solving, we supply clients with accurate, engaging graphic design work in the form of valuable brand assets. Working directly with brands and on projects for: Acer, Amgen, AstraZeneca, Aurora Healthcare, Cambridge University, Cambridge University Hospitals, firstlight, GlaxoSmithKline, Hart McLeod Ltd, Kaplan, Mundipharma, Napp, Novartis, NHS, Oxford University Press, Parks for London, Qdem, Roche, Samsung, Sanofi, Targus, The Press Association, Under Armour, Vifor, Yapster.